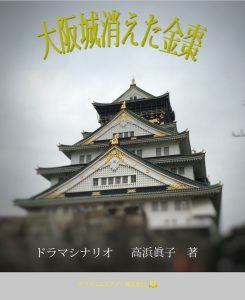 Osaka Castle-the gold tea caddy disappeared | Digitalestate Inc.
To view the printed book (print on demand) go to the Amazon page by clicking the image below. Kagami Izumi is a university professor at the age of 57 who teaches folklore studies at K Girls’ University in Nagoya City, Aichi Prefecture. Because of the nature of research field, Izumi is traveling around the world and engaged in research on folklore and culture. Staying abroad can range from several weeks to several months, but for that reason or because of the aura that he emits, there is always something wrong during his study trip. By the side of Osaka Castle, a homeless sold golden tea caddy to a woman from Nagoya. It is reported on the television that her husband sold for 30 million yen at the jewelry store in Place Vendôme in Paris. Izumi went out with his students on a conference presentation trip in Versailles. Graduates also hearing it and join him in Paris. In passing by the trip when he went to the jewelry shop that bought the golden tea caddy, a curator of Osaka Castle had already bought back the caddy. The Portuguese thief stole the caddy at a hotel in Paris, but due to fellow cracks it developed into a murder case and the caddy returned safely to the curator. Returning to Japan and going to Osaka Castle, the curator said that the housewife who got 30 million yen by the golden tea caddy returned to him 30 million yen. Because Izumi asked her to do so. When he went to the excavation site, the homeless in question was conducting an excavation investigation. By Izumi ‘s reasoning, the homeless was a scholar, Hashiba Hideto who became a fool of the theory in academic dissertation at the academic conference, when he sold gold’ s jujube to prove his theory, it came to the mass communication. I confirmed directly to the homeless, it was that Hashiba Hideto. When he went out to the island from the excavation site, there was a worn-out woman. They said she was wandering almost every day for a clue looking for the husband who missed. It was Mrs. Hashiba. It was the day that Hashiba, whose own opinion was proved and the resentment was clear, and he returned to his wife. Thus, new pages increased in the travel case book of Professor Kagami Izumi. Click the icon below to jump to the Reader site.